But the word accessibility was nowhere to be found. I thought the article should have included a direct reference to digital access. I certainly hope the courses will include the rights of disabled people to independently interact with all types of digital content and systems. So I wrote a letter to the editor. It’s 2018. Let’s make sure every graduate of a computer science program knows that accessibility is a civil right. Let’s teach the next generation to build technology that works for everyone. Inclusivity of the digital world depends on it. It was great to read that top U.S. universities are “hustling to bring a more medicine-like morality to computer science” by developing ethics courses for the next generation of computer professionals. (Universities Rush to Roll Out Computer Science Ethics Courses 2.12.18). 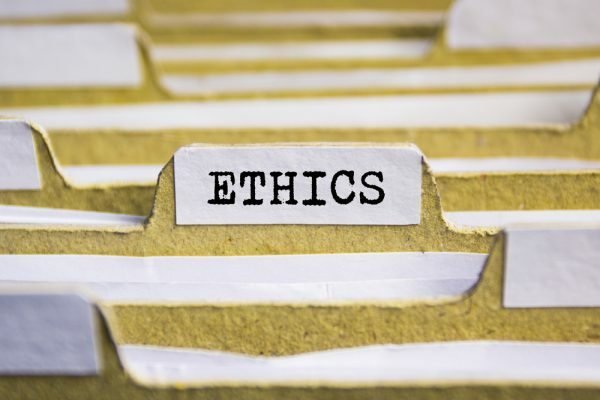 As a civil rights lawyer specializing in the rights of disabled people to access information and technology, it was especially heartening to read that the new ethics course at Stanford will cover “topics like . . . privacy and civil rights. . .” I hope this means that digital accessibility is a core piece of the curriculum. Digital accessibility ensures that everyone — including people who cannot hold a mouse, see a screen, or hear a video — can use and create technology, and consume and interact with the information and services it offers. Digital accessibility (including web and mobile access) is about coding to internationally accepted standards, testing according to well accepted protocols, and implementing business policies and processes that bake accessibility into an organization’s culture. Digital accessibility is also about privacy because without it disabled people are forced to rely on help, losing independent access to online financial, health, and other sensitive information. But at its core accessibility is about people, and the civil right of disabled people around the globe to participate in today’s society. No computer science ethics class can be complete without it.